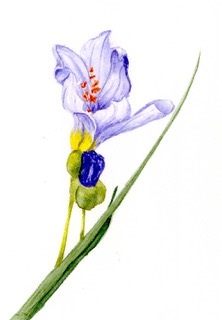 We are coming to the end of a very long and snowy winter here in Ottawa. 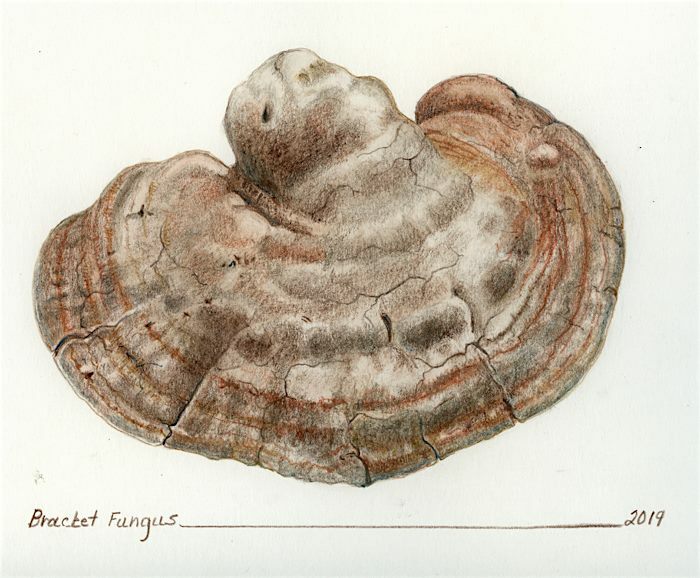 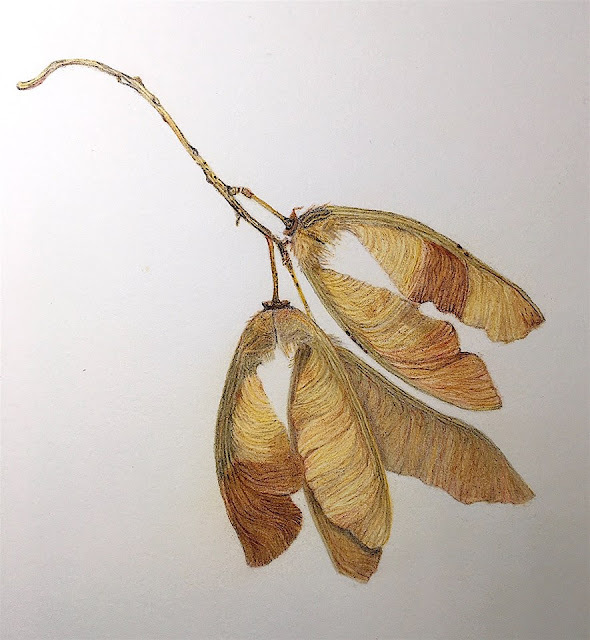 Fittingly, the theme for our March Natural Treasures is Desiccated. 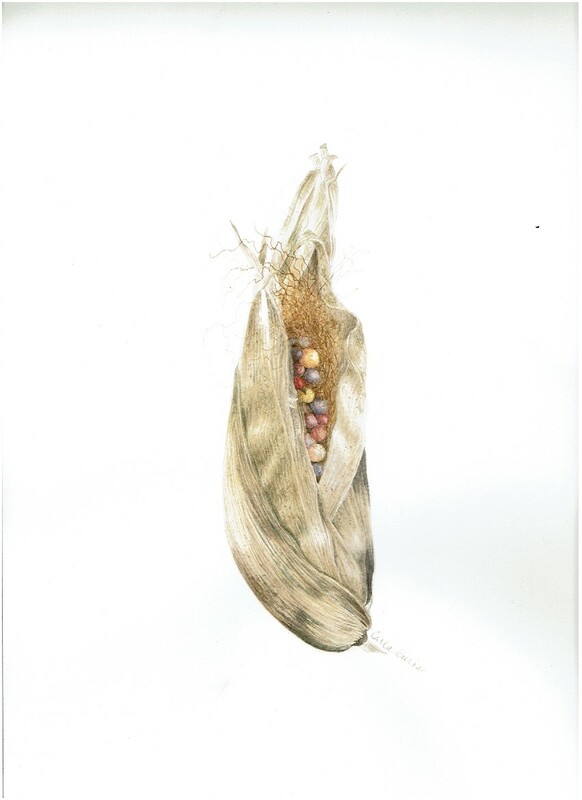 We challenged artists to find something leftover from last year's growning season as their subject matter. 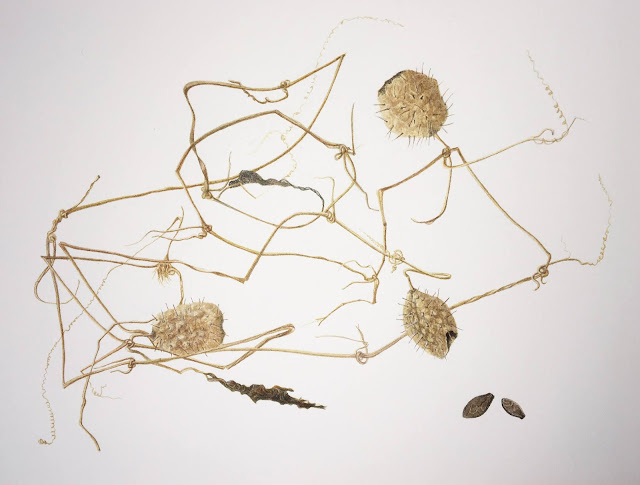 We received eight pieces of art with subjects ranging from dried flower and seed heads, field flowers to fruit to fungi. The Natural Treasures theme for February was Seedheads. 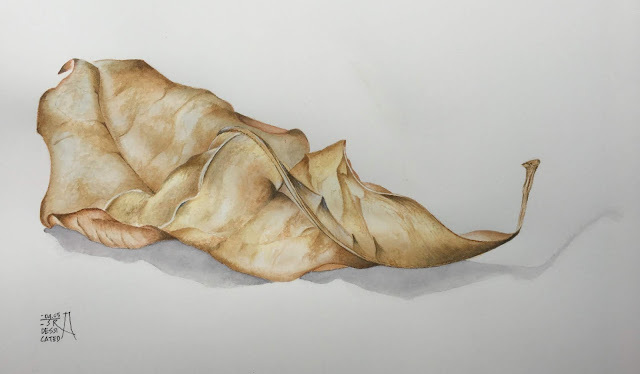 Eight artists participated in this challenge and managed to find interesting subjects outside despite the harsh winter weather we experienced in Ottawa this month. 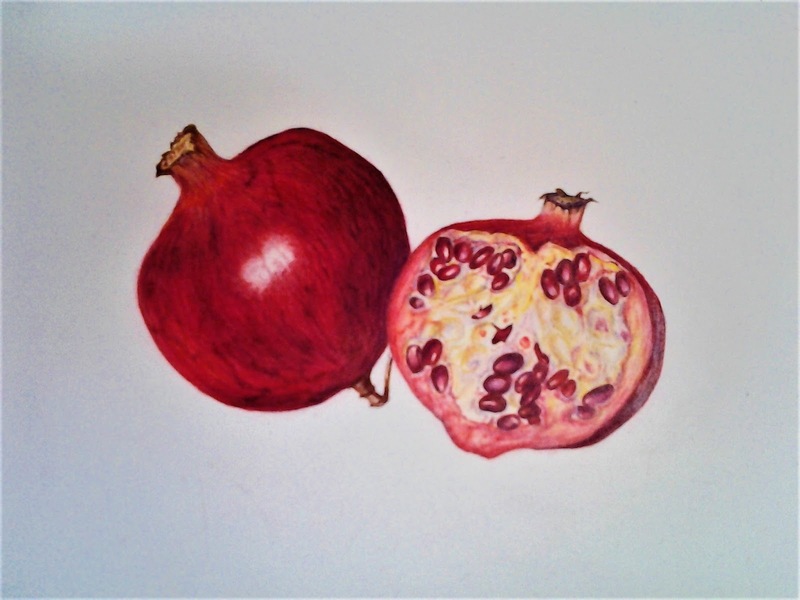 Congratulations to all participants for producing such lovely artwork. 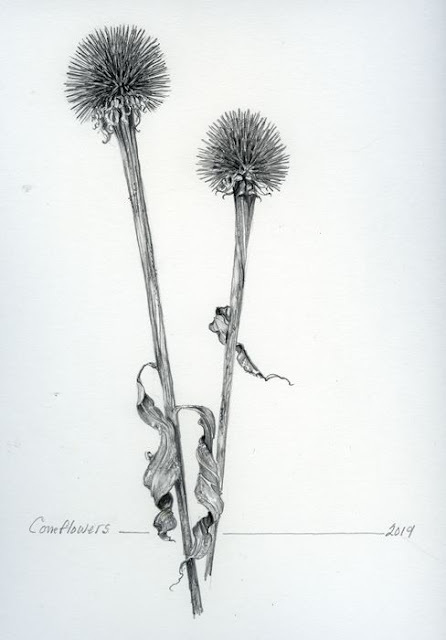 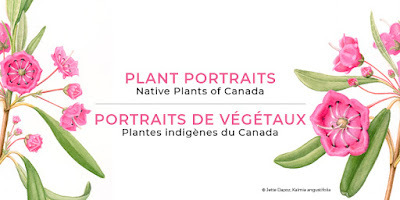 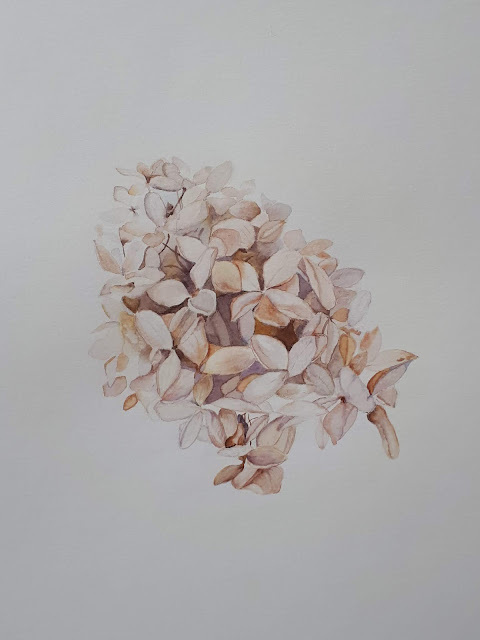 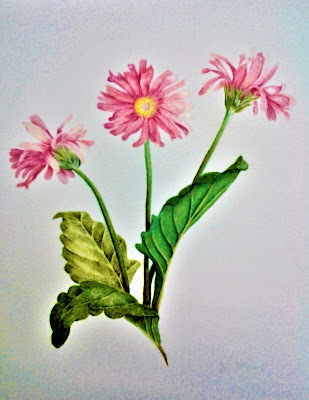 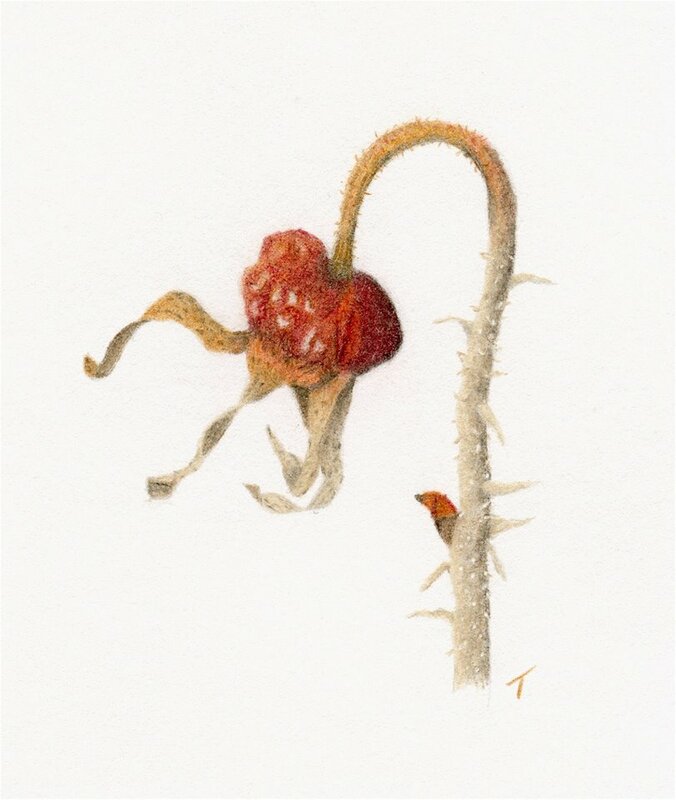 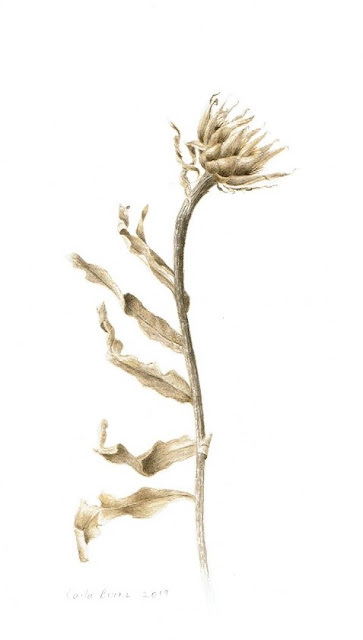 Last year, an OSBA member had commented that she had participated in an online botanical art challenge "Leaf a Day" and had found it to be motivating and enjoyable -- especially seeing the results of other artists. We decided to run a similar challenge and are calling it Natural Treasures -- a subject matter treasure hunt. 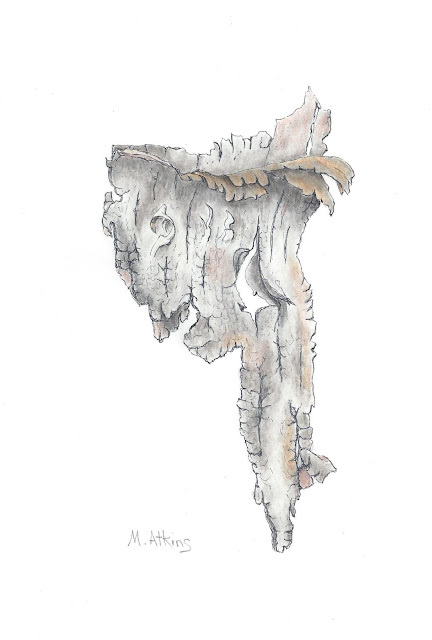 The intent is to challenge participating members to find something that captivates them -- ideally something found outside -- and paint or draw this "treasure" (small is a good start 5" x 7"). 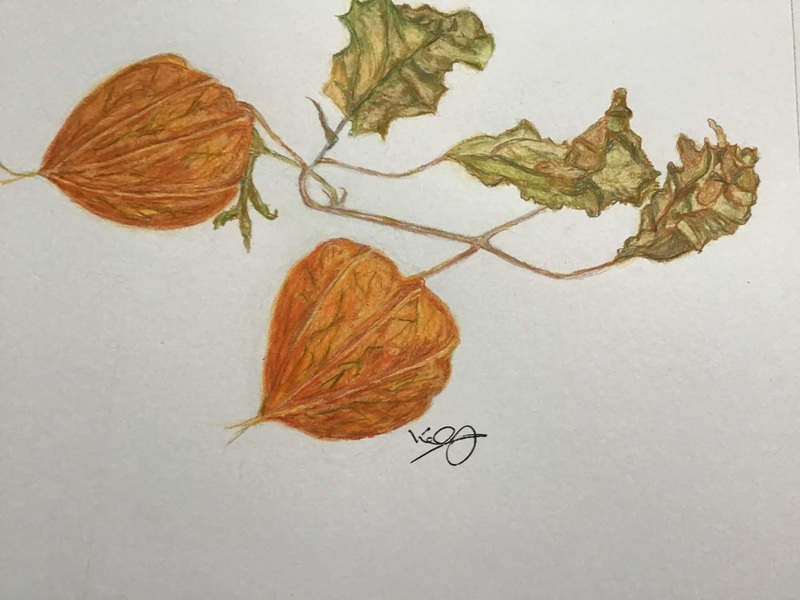 The challenge frequency wil be monthly and the theme will reflect the season. Finished artwork will be posted on our blog and Facebook (optional) and shown at the OSBA meetings. 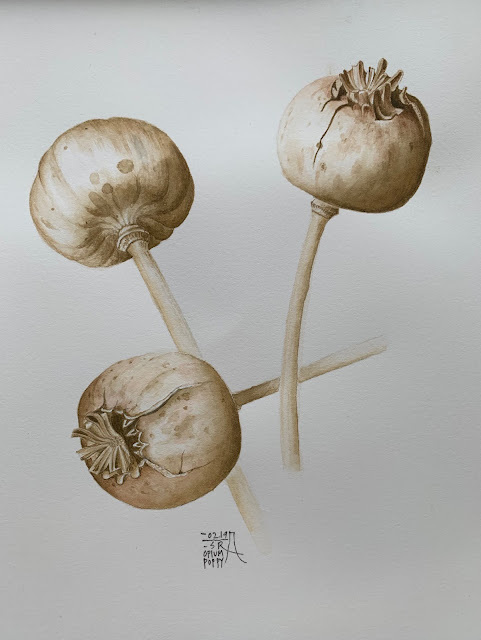 The overall intent is to encourage members to create more artwork to help them to develop as artists and to enjoy the process (hence the emphasis on small works). 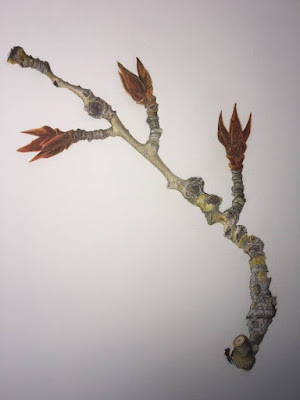 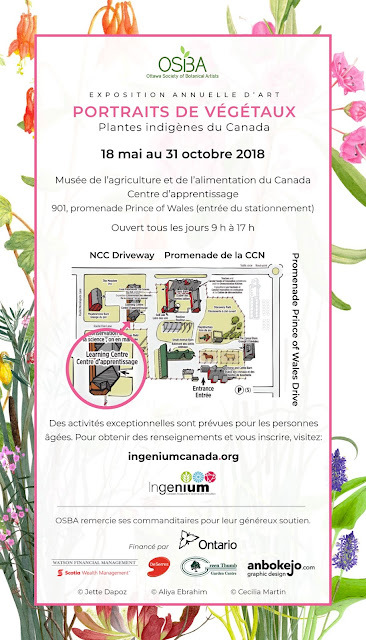 We hope this challenge will inspire other artists to pick up their paint brushes and pencils, explore local greenspaces and find a Natural Treasure. 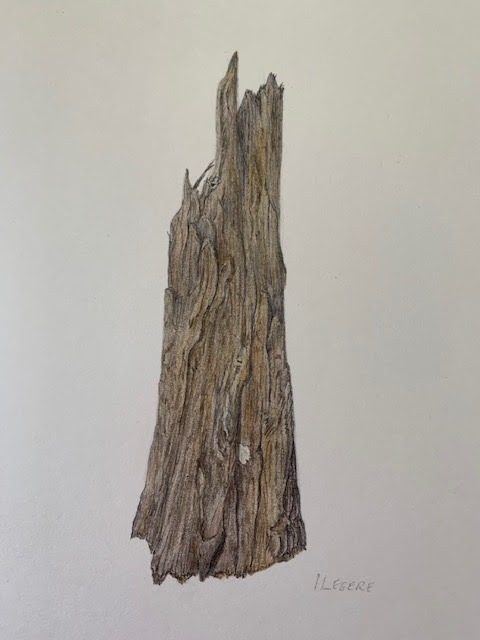 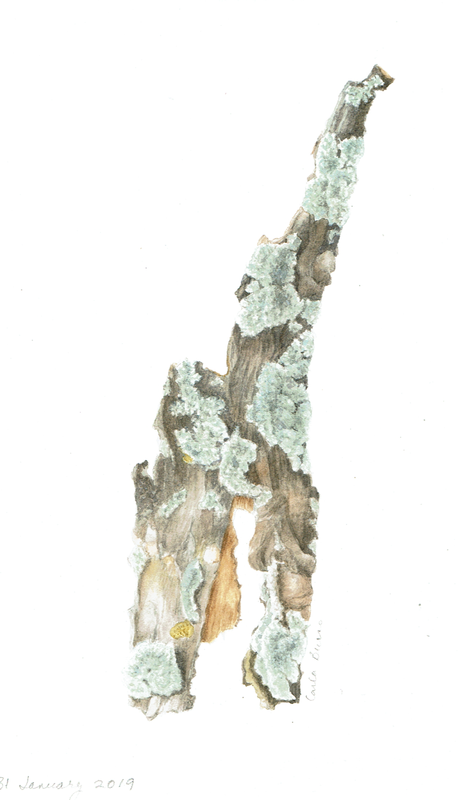 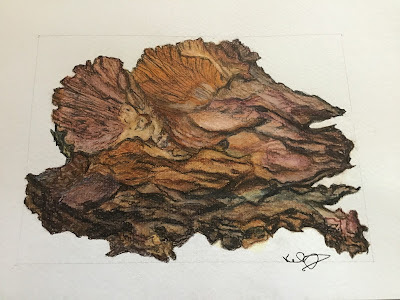 The theme for January was bark and we had five members contribute artwork in various mediums from coloured pencil, pen and ink and watercolour. 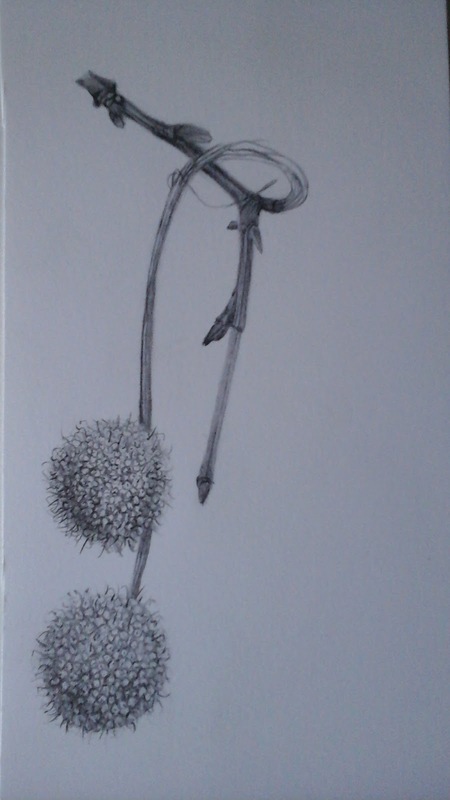 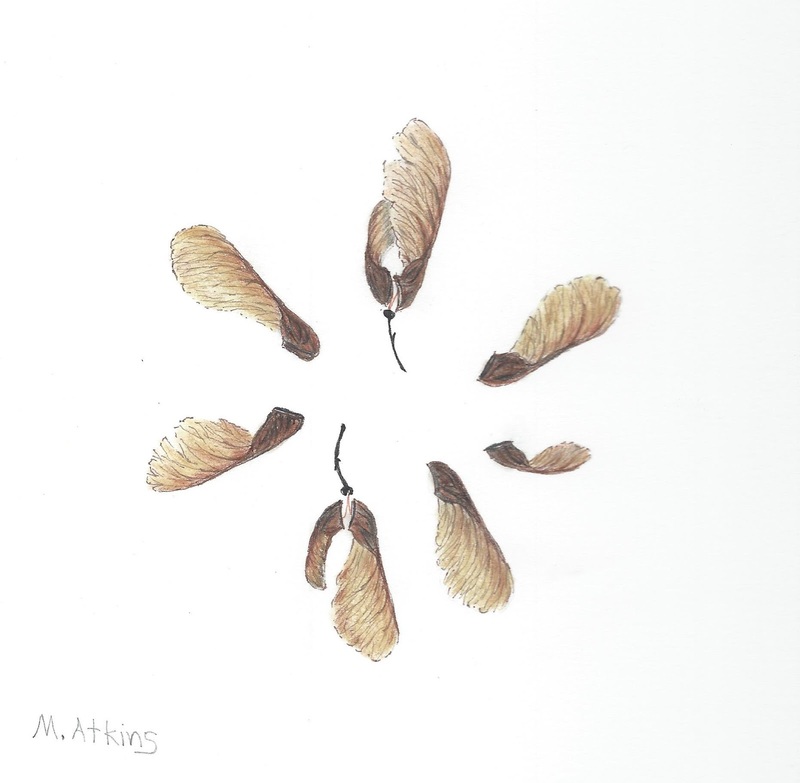 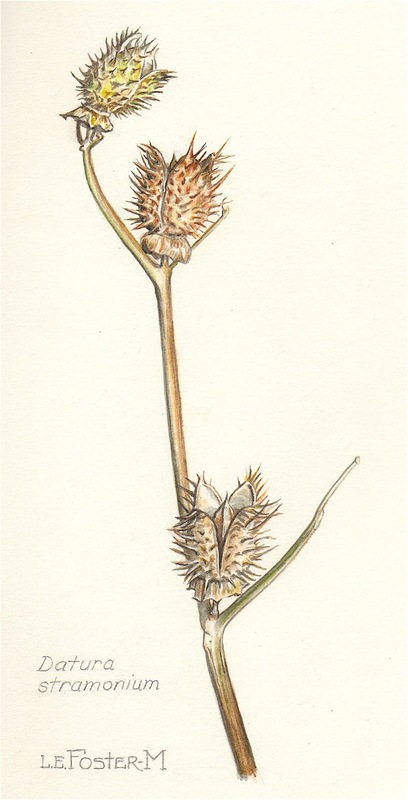 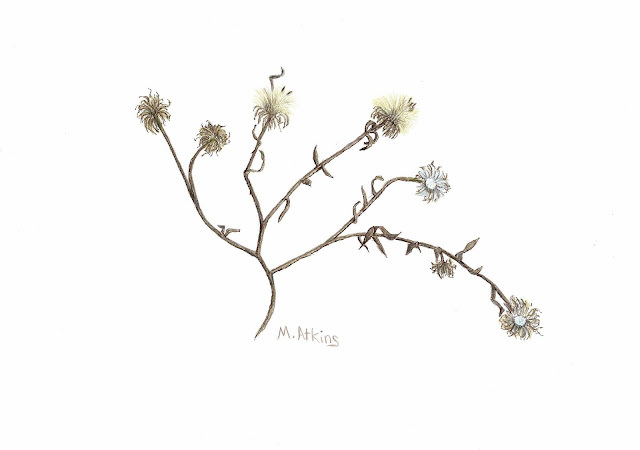 The theme for February is seedheads -- visit again in early March to view the results.